Still sitting in seventh place with 12 points behind the league pace, Napoli’s season obviously looked much more difficult compared to last season and minor voices about their ability to achieve the same result as previous season starts coming. 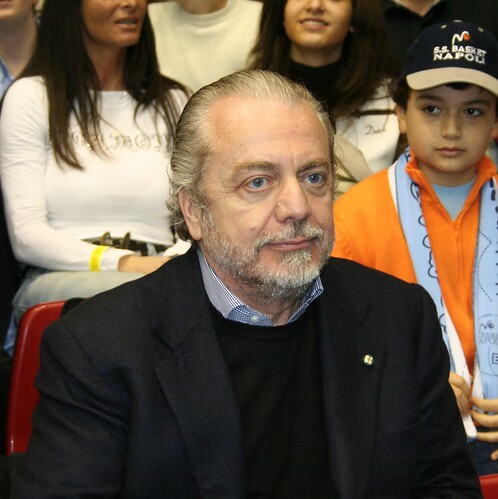 However, the Partenopei’s patron, Aurelio De Laurentis remains optimistic about his team’s chances in doing great things also this season despite their current inconsistent results in the Serie A. De Laurentis also stated his support towards his players’ quality, saying that their quality isn’t declining and the current situation is merely a minor thing that can still be improved. The President encouraged his team to continue fighting and simply keep their head held high in preparing themselves for the upcoming second part of the season, where anything can pretty much happens. Apparently despite the current break of European football still can’t really helped Napoli in acquiring the consistency which they have last season in the league, taking them into grabbing lots of praise after taking the third place spot. However, there are still plenty of matches left this season for Walter Mazzarri’s team to improve their position in the table but they must also try to be more consistent in picking up results as things looked very difficult in the league this season.